UPDATE: More pics in our forum. 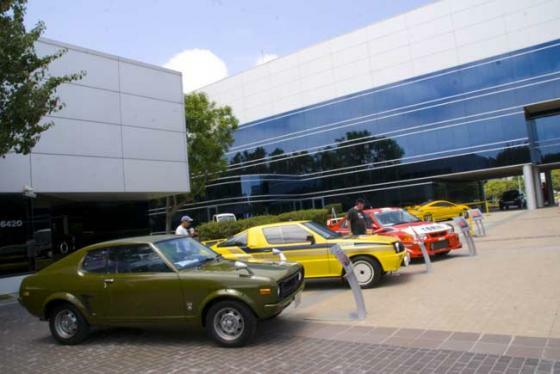 Here are some pics from 2008’s Mitsubishi Owners Day. Although 99.9% of the cars on display were Lancer Evos of some Roman numeral designation, the triple diamond mafia did dust off some classics from their personal collection. First up, a 1973 Galant Coupe FTO. The 1600 GS-R had the 4G32 Saturn engines capable of 100hp with a single carb or 110hp with a double. 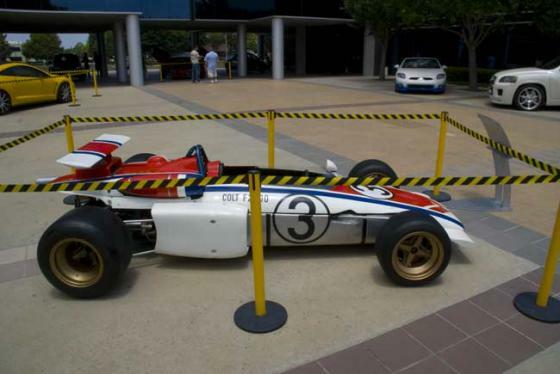 Next, we have a 1971 Colt F2000 open-wheeled racer. Drivers Kuniomi Nagamatsu and Osamu Masuko swept the field with a 1-2 finish at the Japan Grand Prix of May 3, 1971. Mitsubishi promptly retired from GP racing and focused on rallying instead. 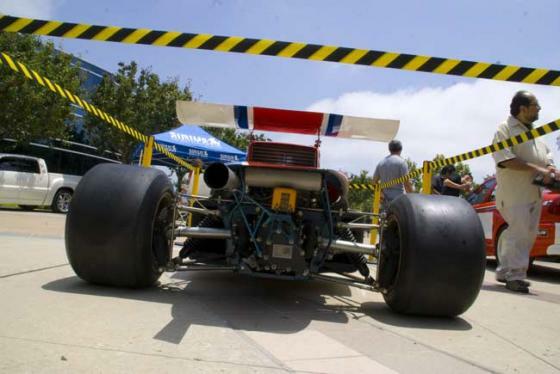 Its powered by a R38B 4-cylinder race engine with DOHC and 16 valves. That pretty much describes the average inline four nowadays, but even back then this advanced engine produced 280hp, which is not at all average. 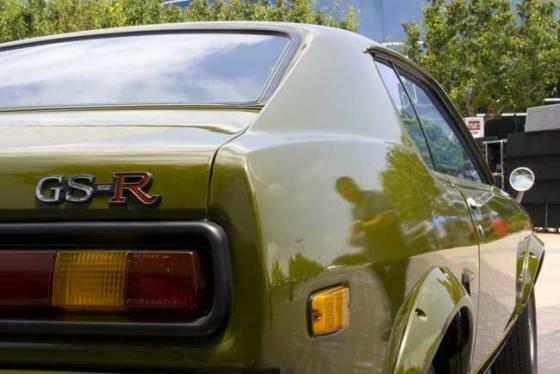 It was also one of the earliest open wheelers to feature side radiators, which Mitsubishi took from its aircraft building background. This is the 1984 Starion Group B rally car. Mitsu originally intended it to throw the dirt around with likes of the Ford RS200 and Audi Quattro S1, but the FIA banned the series before any competition could begin. 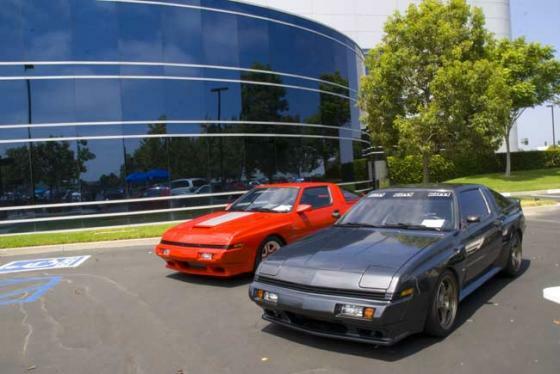 What we would have gotten is a 4WD Starion with a Pajero (Montero) transfer case and a turbo 2.0L 4G63 Sirius Dash engine producing 350hp. Now imagine that 350hp in a body weighing only 2200 pounds thanks to fixed headlights and ample carbon fiber. Unfortunately the cancellation of Group B meant that the handful of homologated street-legal versions were also never built. Love the FTO! 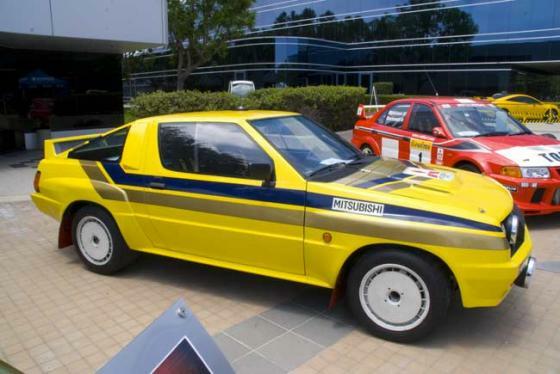 its a damn shame mitsubishi didnt carry on with GP racing, the Dohc might of gone on to production. I love the Galant Coupe FTO. It’s an amazing looking car. One day it will be mine. Oh yes! It *WILL* be mine!